This Cascade 20LD is designed for Scouts, smaller adults or women. It is ideal for cub scouts and boy scouts. It measures 79′ in length, and only 31′ at the shoulders. The insulation is Tactel quallo, which provides tremendous body heat retention and affords total comfort. This bag weighs only 3 lbs 7oz. and stuffs to approximately 15′ x 7.9′. This is a Special Scout Promotional price. 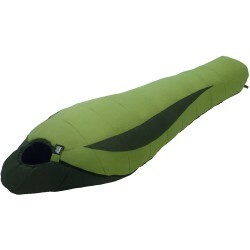 Size: 31" x 79" x 21"
The Cascade 20LD is part of the Cascade line of sleeping Bags. This line of sleeping bags comes in 4 temperature ratings and 2 sizes assuring you a restful nights sleep even during the most frigid nights.